Gain knowledge to help your patients in special situations! Understanding the principles on how to safely and effectively administer anesthesia can be a challenge - especially when this involves special patient populations and special situations. 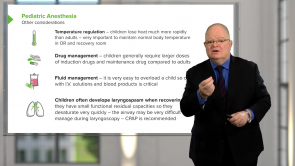 Review how to effectively administer anesthesia in exceptional circumstances with Dr. Brian Warriner, an experienced clinician and educator. Gain access to self-paced, high-yield lectures supported by interactive quizzes, topic reviews and mnemonics to gain a better understanding of how to administer anesthesia to special patient populations in unusual situations. 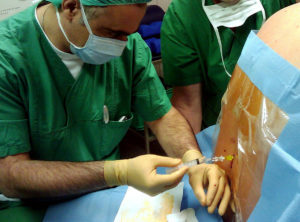 Understanding the nuances of special patient populations and special situations can make all the difference when administering anesthesia. Don't delay, start reviewing today. Anesthesia as a field has greatly expanded in the recent years. It is progressing in leaps and bounds. The spectrum of anesthesia has now sheltered not only operative patients but also patients with chronic pain, terminal illnesses and cancer. With a brief prologue to changes in the field of anesthesiology, this article focuses on palliative care, chronic pain management and perioperative medicine. 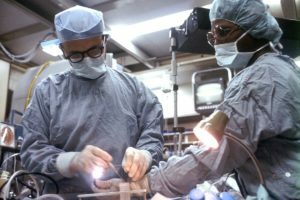 &gt;Anesthesia as a science has massively evolved from ether machines to sophisticated dedicated subspecialty branches, the progress of which equally parallels the booming advancement in corollary fields of surgery. 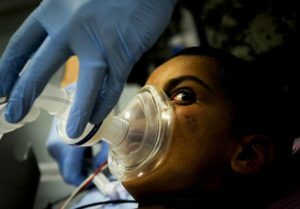 This article encompasses discussion on thoracic anesthesia, endobronchial tube positioning, complications and other issues, cardiac anesthesia and neuroanesthesia. Children are not little adults. With a prologue to pediatric anesthesia, this article focuses on the airway of a child and equipment for pediatric anesthesia, and concludes with a final touch on other anesthetic considerations for children. It is my favourite session and the session was handled very well. I really appreciate Dr Warrimer.